Real Estate Financing Category Archives — Titles and Deeds Published by Titles and Deeds Attorneys — Jarod Bona of Bona Law PC. When it comes to choosing an investment property in California, real estate investors have a vast array of options. They can purchase a single-family dwelling and rent it to a tenant, or renovate it and flip it. They can purchase a multi-family dwelling or an apartment building for rental purposes. 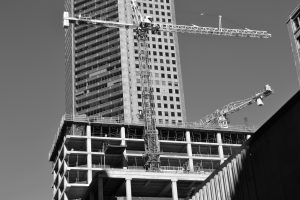 Commercial real estate offers even more possibilities, such as buying an existing office or retail building, renovating a commercial building, or purchasing raw land to develop from the ground up. Commercial investments often carry greater possibilities for revenue and profit, but they also often involve more risk, and more up-front work. The following is a general overview of the steps in a commercial real estate transaction. This hypothetical transaction involves the purchase of a property with the intention of renovating or developing it for commercial use. Before you look at a single property, you should identify your goals and make a plan. Do you want to purchase a property that you can sell at a short-term profit, or do you intend to derive income from the property through rent payments? How much risk can you take on? How much time, effort, and capital are you willing and/or able to invest? Do you have investment partners? Are you putting together a real-estate syndicate? Do you need investment partners to contribute money or expertise? And so forth. Next, you should visit many properties. Whether a property is “right” for you depends on your investment goals and your budget for both purchasing and maintaining a commercial property, among many other factors. Consider the current uses of these properties, and whether they fit your intended use or could be adapted to that use. Determine whether there are any uses that are prohibited for a property because of zoning or deed restrictions. Find out what permits you will need from multiple levels of government. Investigate each property’s potential for rent income, and the economic conditions of the surrounding areas. Above all else, find out why the owner is selling. Prime Plus Mortgages is a licensed hard money lending company. We specialize in hard money loans, or HMLs, for developers, property flippers and buy-and-hold strategists. Hard Money Loan programs make private money available for small to medium scale projects. The early bird gets the worm: the sooner you can find and close on a golden real estate opportunity the better. That’s why it’s surprising that more real estate investors don’t use hard money lenders. What a lot of house flippers and real estate investors forget is that money makes the world go round. Having fast access to funds isn’t a need, it’s the lifeblood of almost every real estate investment transaction in this modern age. Hard money loans make it easy to get funded quickly, and get a house flipped even faster. Real estate investing can be a lucrative source of income, but as the saying goes, one must spend money to make money. Obtaining a loan through a bank has many advantages, but the process can be slow, and a bank’s conditions for approving a loan can be steep. Investors who need a loan in a shorter time frame, or who are not eligible for a bank loan, might consider hard money lending. Hard money loans come from private companies or investors rather than banks. These loans could be advantageous for some California real estate investors, but they also carry certain disadvantages and risks. The internet and social media have changed the way people communicate in a vast number of ways. They also offer numerous opportunities—and hazards—for investors. Securities laws and regulations have struggled to keep up with new technologies. A process known as “crowdfunding,” by which individuals and businesses solicit small donations from the general public for specific projects or causes, has become increasingly popular in the past few years. A bill enacted by the U.S. Congress in 2012 allows crowdfunding for investment purposes, subject to various rules. Real estate investors may also now invest in ventures, including real estate syndicates, through crowdfunding platforms. A typical “crowdfunding” campaign seeks to raise money for a specific project through small contributions. Platforms offered by companies like Kickstarter and GoFundMe allow individuals to contribute via a website or a mobile app. Kickstarter is generally known for creative projects like films, while GoFundMe is known for more charitable causes, like raising money to help pay medical bills. Contributions to crowdfunding campaigns on this type of platform are not “investments,” since the contributor does not receive equity in the project. Contributors to a Kickstarter project may receive a reward defined in the campaign. For example, people who contribute $20 might get a t-shirt, and people who contribute $50 might get a t-shirt and a poster. Investing through a crowdfunding platform requires compliance with securities laws. One prominent example of a real estate crowdfunding company is RealtyShares. California real estate investors have many options when deciding where to put their money. This includes a real estate syndicate, in which investors contribute money to a real estate project under the management of a syndicator or sponsor. 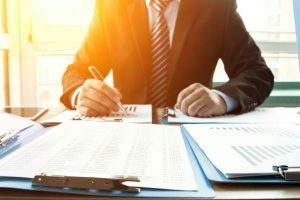 Since a real estate syndicate investment often involves buying ownership equity in a business entity, such as a limited partnership or limited liability company, state and federal securities laws may be a factor. In order to avoid inadvertent securities law violations, syndicators and investors alike should be aware of the general requirements and exemptions in laws like the federal Securities Act of 1933. Both federal and state laws define “securities” very broadly. In addition to stocks and bonds, the term also includes a variety of “investment contracts.” An investor in a real estate syndicate often entrusts their money to a syndicator, who will handle the actual operations of the syndicate. This type of investment is likely, in many cases, to be an “investment contract” within the meaning of state and federal laws. At the state level, the California Department of Corporations (DOC) is responsible for enforcing securities laws. The Securities and Exchange Commission (SEC) handles federal securities enforcement. Anyone seeking to sell a security, possibly including an interest in a real estate syndicate, to the public must register with securities regulators. This can be a time-consuming and expensive process, as demonstrated by the overall rarity of companies “going public” by making an initial public offering (IPO) of stock to the public. State and federal laws provide exemptions to these rules, however.